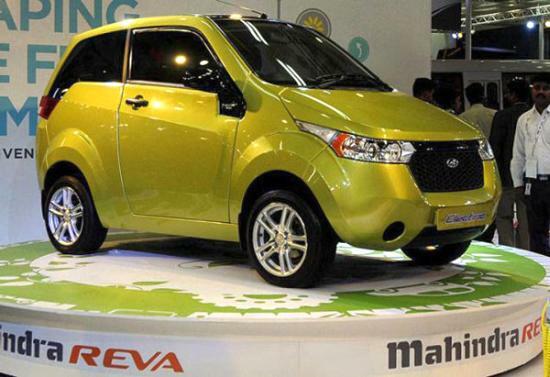 Mahindra bets on maiden e-car launch. The e2o, an all-electric, four-seater passenger car, will be the first model under the Mahindra Reva stable to be launched. The date is set for next week. Developed by the former Reva Electric Car Company, renamed Mahindra Reva Electric Vehicles, as the NXR, the e2o will replace the existing REVAi and will be launched as the most cost-efficient car to own in India. The two-door e2o — the name stands for Energy to Oxygen — is the first vehicle from the Bengaluru-based company after it was acquired by the Mumbai-based Mahindra & Mahindra in 2010. Powered by 48-volt lithium-ion batteries (most commonly found in cell phones and laptops) the automatic e2o will have a range a little over 120 km on a full charge. The earlier model, the REVAi, was equipped with lead-acid batteries and these had a range of 80 km. Pricing and other technical details will be known at the launch, scheduled for the coming Monday. With the cost of fossil fuels rising regularly, the demand for electric cars is expected to grow, especially in metropolitan and other cities, believe company executives. The e2o can be charged at office or at home; it would take six to eight hours for a full charge, consuming 10 units of electricity. The car will be built at the Bengaluru plant, with the capacity to produce 30,000 cars a year. Among plants making electric cars, this one is among the biggest in the world. Chetan Maini, founder and now chief technology officer at Mahindra Reva, is expecting to tap the demand abroad as well. Half of the older-generation electric cars were sold in the 24 international markets where Reva has a presence. “There is a great opportunity (for Reva e2o exports) and it is very tempting. We should be able to begin with exports by the end of the year,” said Maini, on the sidelines of the launch of a social media campaign for the car. Batteries form the main component of costs in an electric car. The company is presently importing the lithium-ion batteries from a few international partners but could explore making these locally if there is a demand spurt.